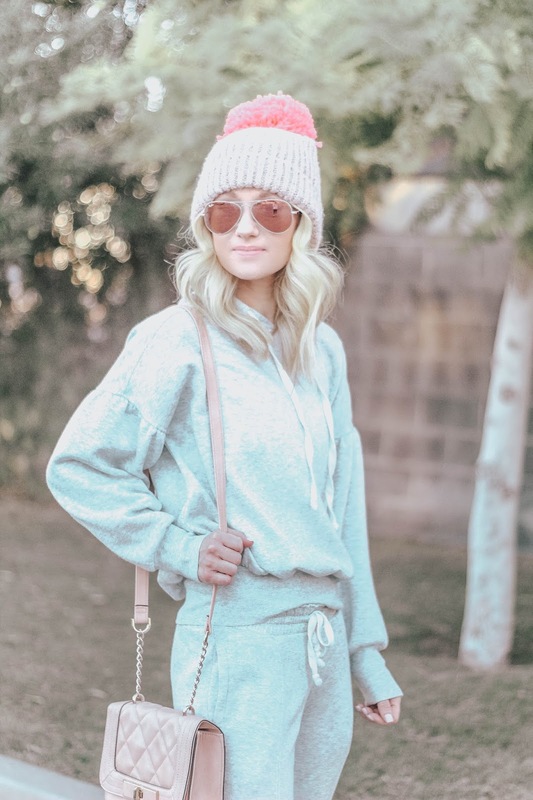 Okay girls... you need this sweat suit! I'm not exgaterating when I say that I wear it at least once a week. I also have it in the burgundy color too. 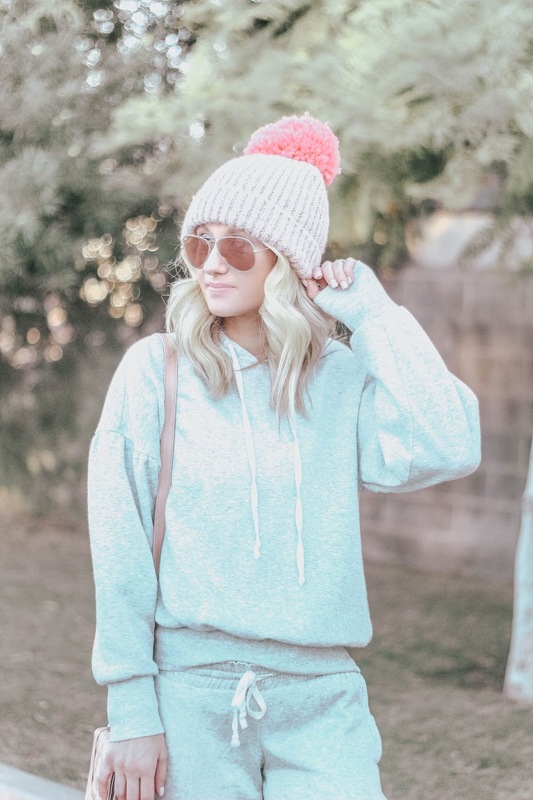 I have sorter legs so I love that the bottoms hit just right and I love the sleeves on the sweater.